Our concert coming up on Saturday 12 May, features music by composers depicting their relationships with their Mothers. We also welcome back French horn player Michael Wray as guest soloist performing the Brahms’ Horn Trio in E flat major, Op. 40. Michael has performed as Principal Horn with the Shenzhen Symphony Orchestra in China and now regularly plays with the Australian Ballet and Opera Orchestra as well as other theatre productions. Michael also tutors French horn privately, with Sydney Youth Orchestra and the NSW Public School’s Arts Unit Ensembles. The Trio for horn, violin and piano, Op. 40 was composed by Brahms in 1865 in dedication to his mother Christiane who passed away earlier in that year. Despite the fact that the valve horn was becoming increasingly popular at this time, Brahms wrote the score for natural horn. It is suspected he chose this instrument in tribute to his childhood memories of his mother – he also learnt the natural horn as a child. Indeed, he may have preferred the timbre of the natural horn for its sombre and melancholic qualities and its relation to hunting and nature. There are two unusual features to the compositional structure of the trio. As a departure from the typical Classical style Brahms is known for, in this work he adopts a slow, fast, slow, fast order of movements, instead of the usual fast, slow, fast, fast. Brahms also abandons using sonata form for the first movement, preferring a simplified structure containing three slow sections interposed with two rhapsodic sections. It was said that, the opening theme to the first, Andante,movement came to Brahms on one of his many walks in the woods. The theme of nature is recalled again with hunting calls used in the second, Scherzo Allegro,movement and final, Allegro con brio, movement. Both second and fourth movements, being livelier in tempo also suggests the lighter side of grief and of happier memories. The third movement, Adagio mesto, is the most solemn and contemplative movements of the work. Brahms quotes a popular German funeral chorale “Wer nur den lieben Gott lasst walten”, used most notably in J.S Bach’s Cantata BWV 93. Brahms also used this theme in his German Requiem, composed between 1865 and 1868. The hymn is a song of consolation, dealing with trust in God. Although considered an agnostic, Brahms’ quotation of the popular hymn may not come from devotion but rather his own contemplation and heartfelt relief from mourning. You can listen to this in the recording below of Daniel Barenboim (piano), Itzhak Perlman (violin) and Dale Clevenger (horn). Forward to 2.00′ to hear the sublime melody taken from “Wer nur den lieben Gott lasst walten”. Is anyone else surprised that it’s March already! 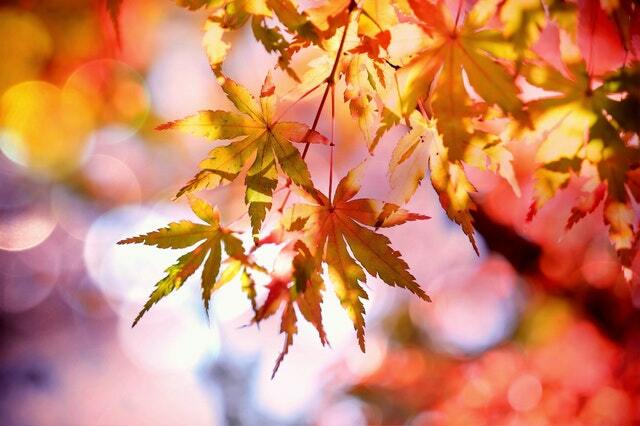 Well, I’m looking forward to Autumn, the best season of the year, and to planning for our next concerts. The Sirius Chamber Ensemble program for 2018 includes a concert dedicated to Mothers; a concert showcasing the compositions of Melbourne-based composers Eve Duncan and Dr Houston Dunleavy; and an all-Australian program of compositions inspired by the Elements. 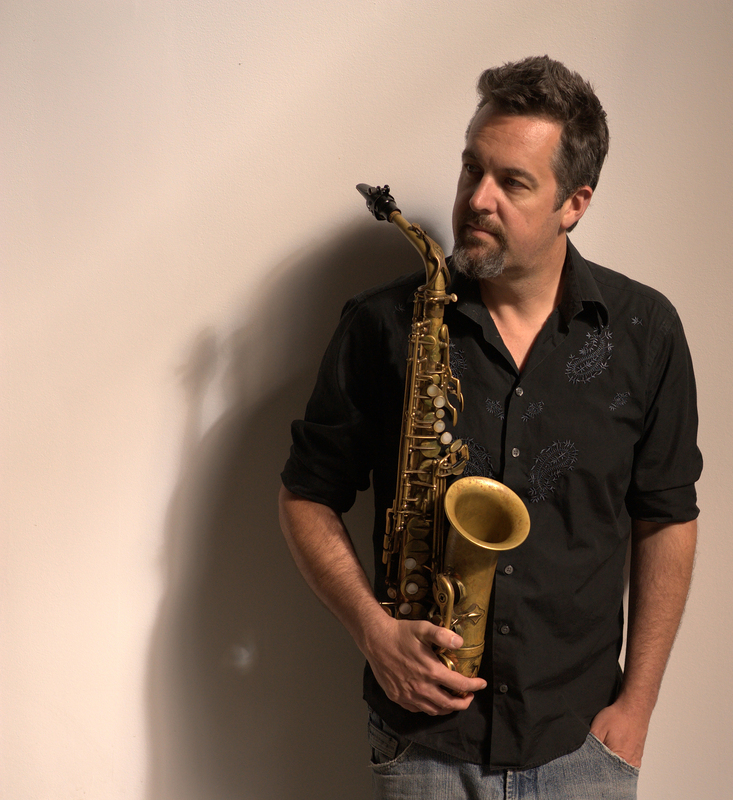 We will also be launching Flying, a CD featuring the music of jazz saxophonist and composer Spike Mason. More information available later in the year. Sirius Chamber Ensemble will present a special concert program dedicated to mothers. Each work performed explores different relationships experienced between mother and child. In Berceuse for clarinet, violin, cello and piano by Becky Llewellyn, we catch a glimpse of the unique bond between a mother and newborn child. Many compositions dedicated to mothers often express love but also grief, which is seen in works by Graeme Koehne and Johannes Brahms. Koehne’s Time is a River, written in 2010, is a moving tribute depicted by the melancholic sound of a clarinet drifting down a flowing river of a string quartet. A deeply personal composition, Brahms’ Horn Trio in E-flat major was written after the death of his mother in 1865. In this four-movement work Brahms portrays the different stages of mourning – not only grief and sadness – but as time inevitably passes, love and acceptance follows. Originally written for voice and piano in 1880, “Songs my mother taught me” by Antonin Dvorak has been transcribed for many instrumental combinations. One of the more popular songs from Dvorak’s Gypsy Songs and often recorded, will be performed by cello and piano as a short tribute to all who hold special childhood memories. Our meet the composer concerts have become increasingly popular. In June, we have the absolute pleasure of inviting Melbourne-based composers, Eve Duncan and Dr Houston Dunleavy to discuss their work alongside performances of a selection of their compositions. Franz Joseph Haydn (1732-1809) may have been a celebrated composer in Europe during his lifetime, but he did not always enjoy a privileged life. From 1740-1749 Haydn was a choir boy at the St Stephen’s Cathedral in Vienna, until a foolish prank resulted in him being dismissed from his employment and home. By this time, Haydn’s voice was maturing and he could no longer sing the high choral parts. But when Haydn foolishly snipped off the pigtail from one of his fellow choristers, he was severely punished and thrown out onto the streets. Fortunately, a friend took him in to stay and thereafter Haydn pursued his freelance career. Haydn was most known for his developments to Classical form and chamber music compositions such as the Piano Trio. The Piano Trio No 39, in G major (1795) was written during an auspicious time for Haydn, when we experienced great success with two tours to London – the last two London Symphonies (No. 103 and 104) were also written during this time. Piano Trio No 39 was nicknamed the Gypsy trio, as the third movement was written in an Hungarian style. The work was one of a set of three trios, dedicated to Rebecca Schroeter, an amateur musician and widow, whom Haydn met in London. It has been reported, the pair had a romance during Haydn’s visits. We are delighted to have, guest string instrumentalists Angela Cassar (violin) and Steve Meyer (cello) join Claire Howard Race (piano) for this performance. African-American composer Scott Joplin (1868-1917), was known as the father of Ragtime composition with its characteristic off-the-beat rhythm, based on African-American gospel and folk tunes. Joplin wrote 44 rag pieces for piano as well as one Ragtime ballet and two operas. The second opera, Treemonisha was written during 1911-1915 while Joplin lived and worked in New York. Unfortunately, the opera failed to secure financial banking and with failing health, Joplin did not live to see a full production of this opera. During the 1970s Ragtime revival, Gunther Schiller arranged and directed a full professional production by the Houston Grand Opera in 1975. One can hear the once-popular ragged rhythm and jubilant choral singing in Schuller’s production recorded in 1975 [DG recording]. In this program, Alex Fontaine (oboe) and Michael Wray (French horn) join Ian Sykes (clarinet), Melissa Coleman (flute) and Alison Evans (bassoon) to perform Five Scenes from Treemonisha for wind quintet (arr. Graham Bastable). Where the Heart Is – Saturday 21st October, 6:00 pm at Christ Church Lavender Bay, 10-12 Walker St, Lavender Bay. Tickets available through ClassikON.com or at the door. Funds raised will be donated to Habitat for Humanity Australia to assist their work to build safer homes and stronger communities throughout the Asia Pacific region. Sirius Chamber Ensemble have an ongoing affection for the music of Bohuslav Martinů, having performed his La Revue de Cuisine on a number of occasions. So we are delighted to program his Quartet for clarinet, French horn, violoncello and snare drum (1924) for our next concert, Where the heart Is. And we are excited to invite our very first percussionist to the ensemble, notwithstanding the occasional triangle part! Joshua Hill, Sydney percussionist, is a member of Australia’s premier percussion ensemble SYNERGY Percussion and has performed with many of Australia’s leading orchestras and ensembles including the Sydney Symphony, Opera Australia Orchestra, Australian Chamber Orchestra, Canberra Symphony and Ensemble Offspring. In 1923, Bohuslav Martinů moved from Prague to Paris, where he stayed until 1940. Under the tutelage of Albert Roussell, Martinů began to find his compositional style. The 1920s in Paris was a melting pot of new trends, and elements of jazz, neoclassicism and surrealism can be found in the compositions by Martinů during this time. Martinů was also inspired by the music of Igor Stravinsky, particularly the ballets which were a reflection of the modernism movement of the day. The Quartet for clarinet, French horn, violoncello and snare drum was a significant composition from the early years Martinů spent in Paris. Although written for an unusual combination of instruments, there are similarities between this composition and L’Histoire du Soldat by Stravinsky, which was premiered in 1918. According to an analysis by Robert G. Patterson, the connections between this Quartet and Stravinsky’s L’Histoire are the inclusion of the snare drum in prominent positions, the use of overlapping polyrhythms and nationalist themes. Martinů employs thematic use of the medieval Czech hymn Svatý Václave (Saint Wenceslas Chorale) in the first and third movements. You can hear Joshua Hill on snare drum, along with Ian Sykes (clarinet), Michael Wray (French horn) and Steve Meyer (violoncello) at a free lunchtime concert at St Stephens Uniting Church on Friday 13th October, 1:10 pm and at Christ Church Lavender Bay on Saturday 21st October, 6:00 pm. Funds raised at the Where the Heart Is concert will be donated to Habitat for Humanity Australia to assist their work to build safer homes and stronger communities throughout the Asia Pacific region. What does Gustav Mahler, Joseph Haydn, Bohuslav Martinů and Scott Joplin have in common? Well Mahler, Haydn and Martinů may have shared similar roots from Bohemia or the Austrian empire, and all four composers achieved fame in their lifetime. But seldom is homelessness associated with the life of these musicians. On Saturday 21 October, Sirius Chamber Ensemble presents a collaborative fundraiser for the not-for-profit organisation Habitat for Humanity Australia. The concert program will focus on the plight of the homeless in our society, featuring works by these four composers who were known to have been homeless or displaced during their lifetime. Funds raised through ticket sales and collection on the night will empower families to build safer homes and stronger communities throughout the Asia Pacific region. 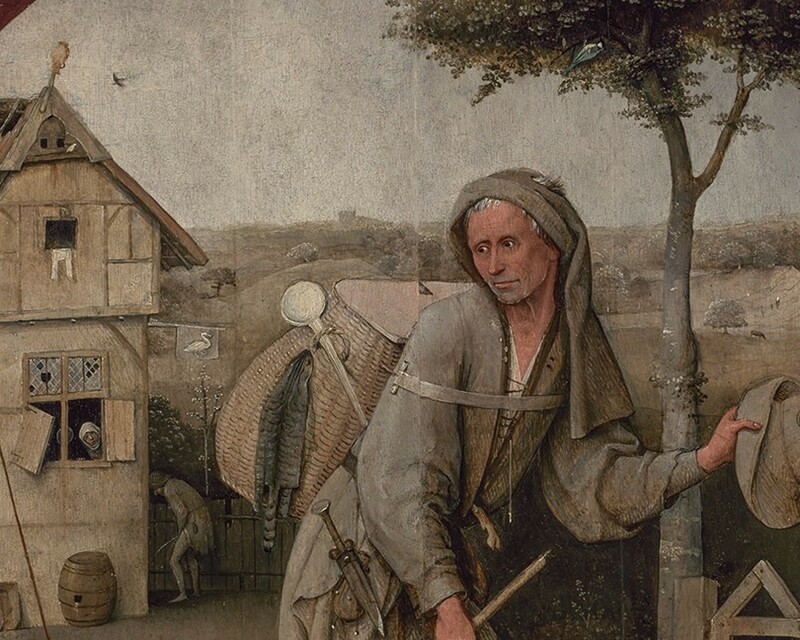 Jheronimus Bosch – The Pedlar (circa 1500). Museum Boijmans Van Beuningen. Gustav Mahler (1860-1911) was famously quoted saying, “I am thrice homeless, as a native of Bohemia in Austria, as an Austrian among Germans, and as a Jew throughout the world. Everywhere an intruder, never welcomed.” Soprano Taryn Srhoj returns to Sirius, to perform a selection from Lieder eines fahrenden Gesellen (Songs of a Wayfarer) by Gustav Mahler. Composed between (1884-85), the song cycle of four songs depicts the Wayfarer’s grief over the heartfelt loss of a loved one to another. The text was written by the composer himself, and may have been influenced by the German folk poems, Des Knaben Wunderhorn. The title of cycle translates to Songs of a Travelling Journeyman. Traditionally a journeyman was an apprentice of a trade or craft, who would travel from town to town to work with different masters. This bears an autobiographical resemblance to Mahler himself, who at the time travelled to many towns as a young conductor and composer to hone his skills from others in the field. Sirius Chamber Ensemble will also be joined by Angela Cassar (violin), Steve Meyer (cello), Alex Fontaine (oboe), Michael Wray (French horn), and Josh Hill (percussion). A selection of this concert program will also be performed at a free lunchtime concert at St Stephen’s Uniting Church. Performers: Ian Sykes (clarinet), Michael Wray (french horn), Steve Meyer (cello), Josh Hill (percussion), Angela Cassar (violin), Claire Howard Race (piano). Performers: Melissa Coleman (flute), Ian Sykes (clarinet), Alison Evans (bassoon), Claire Howard Race (piano). Guest Artists: Taryn Srhoj (soprano), Angela Cassar (violin), Steve Meyer (cello), Alex Fontaine (oboe), Michael Wray (French horn), Josh Hill (percussion). Tickets: $30 Adults, $20 concession, $10 children. Tickets available at www.classikon.com or at the door. Sirius musicians Melissa Coleman (flute) and Ian Sykes (clarinet) will be performing works by Alan Holley, Villa-Lobos, Vjekoslav Njezik and Penderecki at Watters Gallery on Saturday, 16th September. Come hear this recital and see the exhibition by New Zealand-born Euan Macleod, previous Archibald prize winner for portraiture (1999) and recognised for his landscape paintings of New Zealand and Australia. We are delighted that our friends from Blush Opera asked us to join in two special performances of Fancy Me Dead by Sydney composer Paul Smith at the Bondi Feast festival. For this festival of theatre, comedy, music and food, Paul Smith has expanded his original cabaret opera for two voices and a five-piece ensemble. Come and witness two thrilling voices as they hurl accusations at each other in an operatic murder mystery laced with intrigue, poison, fabric swatches, sandwiches and a very dubious pot of tea. Blush Opera first premiered the newly written cabaret opera, Fancy Me Dead, at the Festival of Voices in Hobart and the show now returns to Sydney after a sell-out performance at the Hayes Theatre as part of the New Music Network Mini Series in 2015. 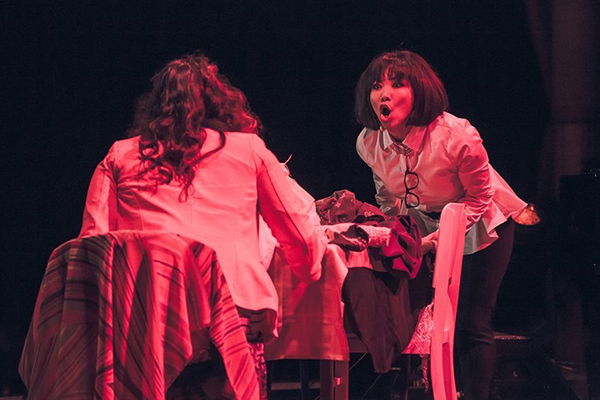 The show stretches the traditional definitions of opera, being performed in a cabaret style, and simultaneously reinvigorates the medium by mixing absurd humour with operatic arias. Traversing gender, power and money, Fancy Me Dead reinforces the potential for opera to comment on and explore contemporary facets of society. Instrumentalists Melissa Coleman (flute), Ian Sykes (clarinet), Alison Evans (bassoon), Georgina Price (viola) and Steve Meyer (cello). Last week ClassikOn featured a small interview with Alan Holley, talking about his inspirations for composition and rehearsing with Sirius Chamber Ensemble in preparation for this Friday evening’s recital. Read the full interview here. The program includes two new works by Alan. Cicada Sings for clarinet, violin, cello and piano is a rework of Opal Wings for baroque trio written in 2007, rewritten especially for the Sirius Chamber Ensemble. Also featured is the premiere performance of Two Tredinnick Songs for soprano, clarinet, violin, cello and piano – a setting of two poems by Mark Tredinnick. 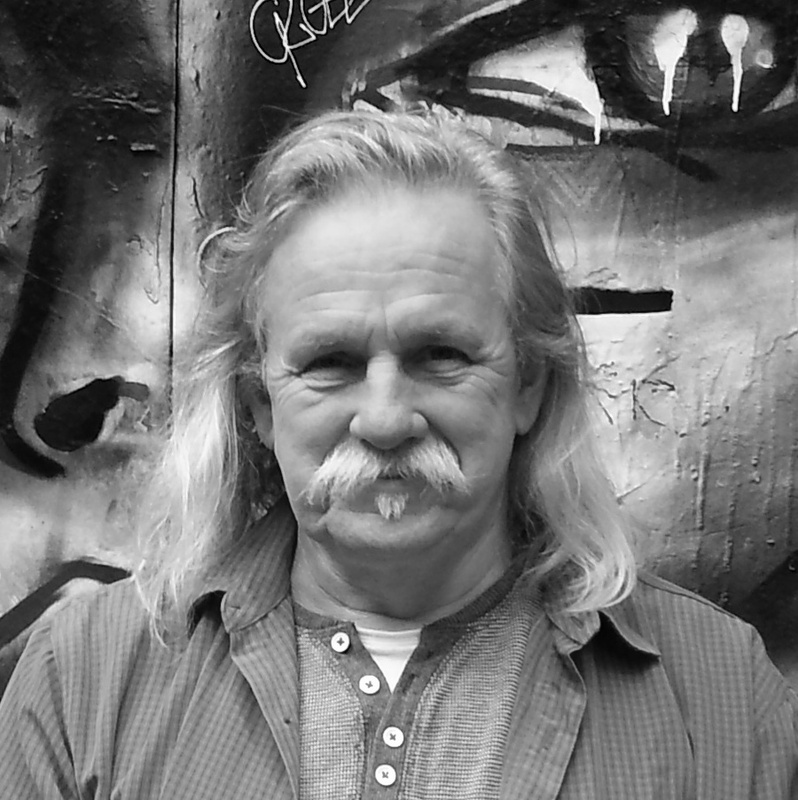 Known also for his writing workshops and books; The Little Green Grammar Book and The Little Red Writing Book (UNSW Press), Mark has won the Montreal Poetry Prize (2011) and the Cardiff Poetry Prize (2012). We are always delighted to have Taryn Srhoj join us. She will also be singing three songs from the folk song collection, Chants d’Auvergne by Joseph Canteloube. Written in Auvergnat, a dialect of the Occitan language, which is considered one of the earliest Romantic languages, the songs describe some of the realities of life, from lost love to loneliness and even a romp in the fields! Tickets: $25 Adults, $15 concession & children. Tickets available at www.classikon.com or at the door. Sirius have been busy of late rehearsing for several concerts this month. A few weeks ago the Trio recorded the first movement of Suite Modale by Tony Wheeler. Thanks to our friend and colleague Garran Hutchison-Menzer for inviting us to record at the Sydney Conservatorium of Music. We have a little taster video to share, and the Trio will be performing all three movements at Lane Cove Music later this month. The Sarabande and Trio movement is based on the Classical minuet and trio form, however in this case the minuet is replaced by the sarabande dance. While all movements of the Suite are based on traditional forms, the harmonic material is inspired by the use of modes. Each movement exploits the ability of each three wind instruments, but the first movement in particular, prominently displays the lyrical quality of the bassoon. Music by Tony Wheeler is published by Wirripang. Suite Modale in Three Movements will be performed, along with a selection of music for wind trio and piano, at the Lane Cove Music concert on Tuesday 20th June. When: Tuesday 20th June; 8:00-10:00 pm. Where: Lane Cove-Mowbray Anglican Church, 19 Rosenthal Ave., Lane Cove. Performers: Ian Sykes (clarinet), Melissa Coleman (flute), Alison Evans (bassoon) and Benjamin Burton (piano). Can’t make the concert mid-week, but find yourself strolling through the CBD at lunchtime on Friday 23rd June, then come along to St Stephen’s Uniting Church, Friday Lunchtime Music Series to hear a short recital of J.S Bach, Alan Holley, Robert Schumann and Andrew Batterham. When: Friday 23rd June; 1:10-1:50pm. Where: St Stephen’s Uniting Church, 197 Macquarie St., Sydney. Performers: Ian Sykes (clarinet), Melissa Coleman (flute) and Benjamin Burton (piano). Admission is free.